Masons Pointe is a private and secluded property along the Inner Banks of eastern North Carolina. 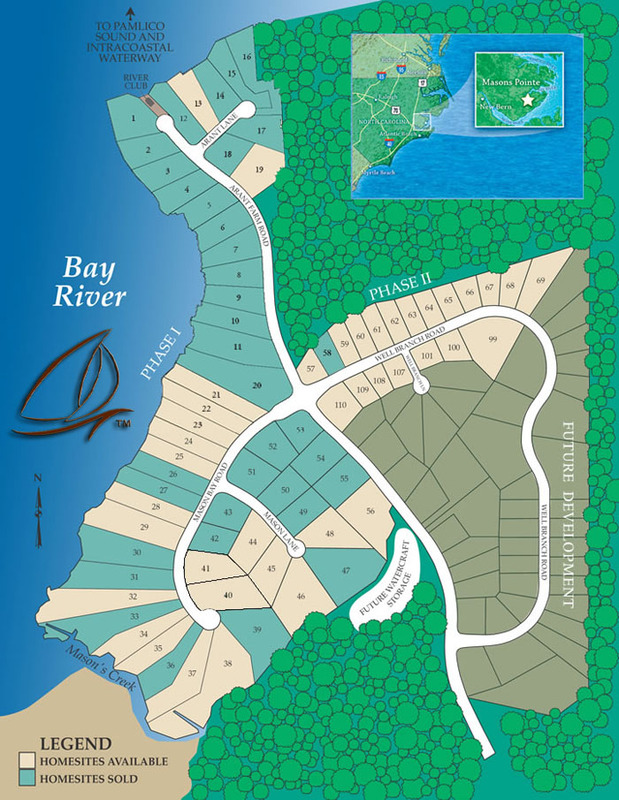 Today it is still affordable to purchase a home site and enjoy the pleasures of this waterfront community. While the Inner Banks of Pamlico County are becoming more readily accessible due to expansions to Highway 70 and Highway 55, Masons Pointe will remain quiet and serene under its canopy of pines for generations to come. Masons Pointe large waterfront lot prices start from $199,990. For maps, directions, prices and more information contact us today. The immediate area hosts some of our State’s finest wildlife – ducks, geese, loons, gulls, terns, herons, pelicans, egrets are among the varieties most easily recognized. The water and land-based bird watching is exceptional. Masons Pointe is near Oriental, NC, which has long been considered the Sailing Capital of NC. It is in fact a quaint reminder of the once thriving Inner Banks fishing industry. Commercial boats still come and go from its quiet harbor, which today is surrounded by interesting shops and eateries. New Bern is about 45 minutes away. Just close enough to provide excellent shopping, restaurants and medical conveniences, but far away enough to maintain the solitude of the Masons Pointe lifestyle. The beaches of the Crystal Coast, Wilmington, and Greenville, NC are a day-trip or less away.